My name is Jeff Hutchings and over the past 14 years I have run a nursery, initially selling alpines but by chance was introduced to hardy orchids in 2002. 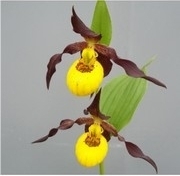 By 2006 I had specialised in terrestrial hardy orchids and changed the name to Laneside Hardy Orchids. Now I offer one of the largest selections of hardy orchids for sale in Europe. All plants are flowering size unless specifically identified. Initially, information on growing the different genus was hard to find and much related to conditions far different than found in the UK. It was only by trial and many errors that I found the right conditions and compost for each of the genus I was trying to grow. With the information I have obtained over time I can now provide customers with quality plants, growing in suitable composts and with written cultivation instructions to help the grower successfully grow their purchases. To assist those interested in growing these fascinating orchids I have put information on this site and have published a number of booklets for specific groups or environmental situations. 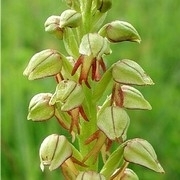 In addition I wrote a booklet "Growing Hardy Orchids in a Garden or meadow". Over 1000 copies have been sold and three additions printed. I am currently fully updating it and hope to publish a much larger book at the end of the year. The web shop started some years ago as a simple list from which customers selected their orchids and sent in an order by letter. This brand new site provides the buyer with information to aid successful cultivation, a list of all the orchids we stock at different times of the year. Now there is a Facebook page which you can read without registering with Facebook. I will be writing useful information several times a week to help growers. The monthly newsletter will be re-introduced and sent to all registered customers. The new system should help ensure that the newsletter actually reaches customers and is not blocked by the various internet providers. Customers who are not happy using online payment systems can place an order online and then pay, either by sending a cheque or telephoning to pay by card. One of the problems with hardy orchid sales is that in many instances only a few legal plants are available from those nurseries who grow from seed each year. I do not buy in any orchids from dubious sources. I offer plants for sale on the web shop immediately I get confirmation of my order with the growers but do not send out plants until they are fully dormant. This is the same for me with the growers, I have to wait until plants are dormant before getting delivery. From past experience, it is not sensible to send the plants out when conditions are not suitable, so I ask customers to be patient. You will get your plants in good condition at the right time of the year. This may be some time after your order is placed. On the web page for each plant there is information on when plants can be sent out This is the time when plants can be sent out when dormant or semi-dormant. Most of the plants sent out to UK addresses are sent potted. All cypripediums are sent out in 2 ltr pots of a mix which has proved very reliable over the years. Over the years I have built up a show schedule which includes some of the major shows in the country including the London Orchid Show, Harrogate Flower Show and RHS Tatton along with a number of shows organised by individual orchid societies and the Alpine Garden Society. The highlight is the Malvern International Orchid Show which is the largest orchid show in the United Kingdom. In addition I give talks to organisations around the country. Look at the Events page for the 2016 list. If you want plants taken to a particular event please order at least a week in advance. I am becoming increasingly involved with projects to reintroduce native orchids into meadows and larger areas of farmland. 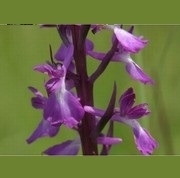 Please email me for an online copy of my booklet on introducing meadow orchids. About Us: Hello fellow orchid enthusiast.